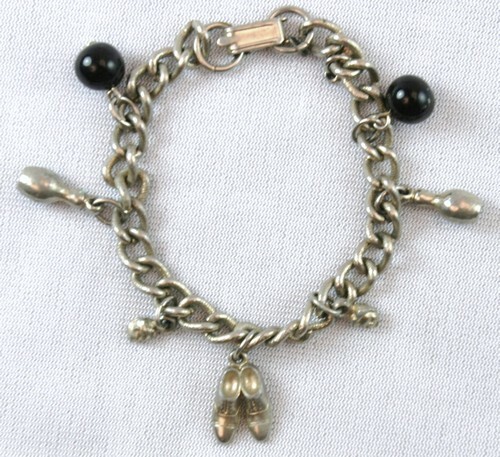 Vintage silvertone bowling charm bracelet with shoes, pins, balls - and heads! (team members?) Total of 8 charms. Measures about 7 inches in circumference. Very good quality consistent with age.